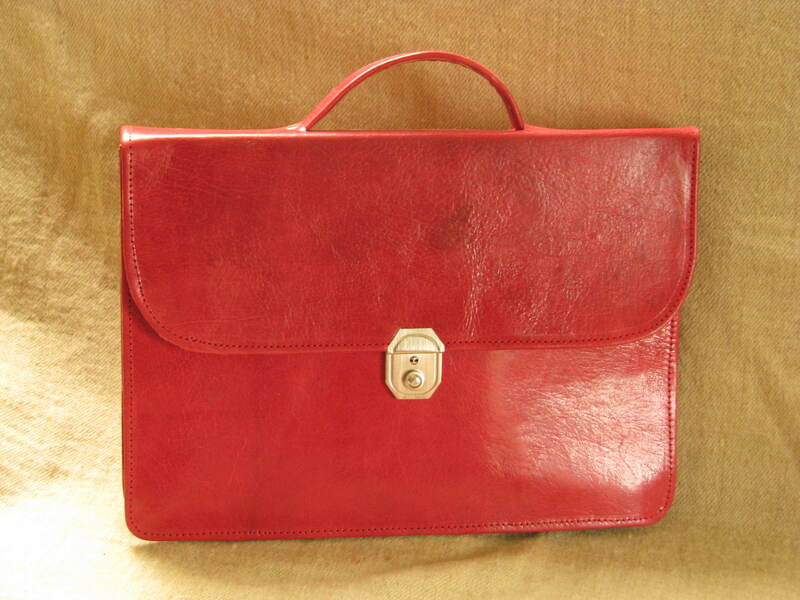 The genuine leather briefcase Mariam is a simple briefcase in beautiful red genuine leather. 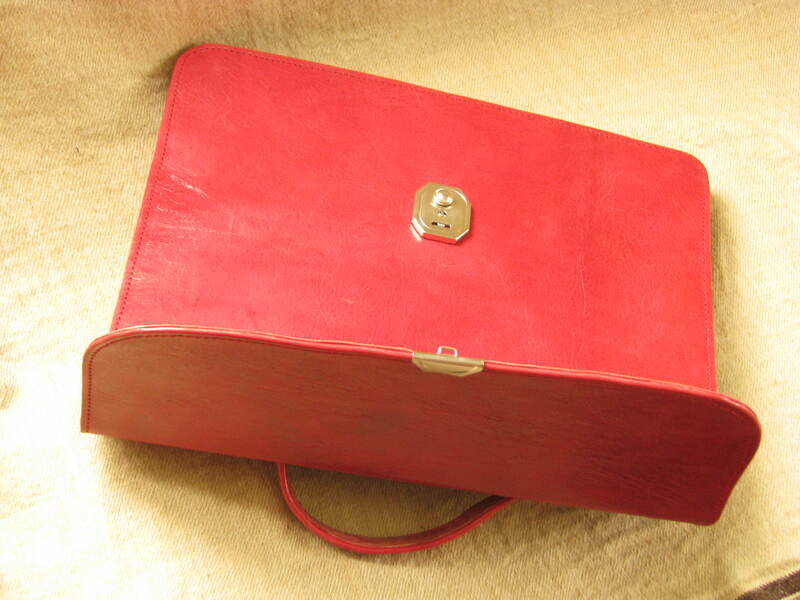 This briefcase was produced with great care in a manufacture in Ouagadougou. 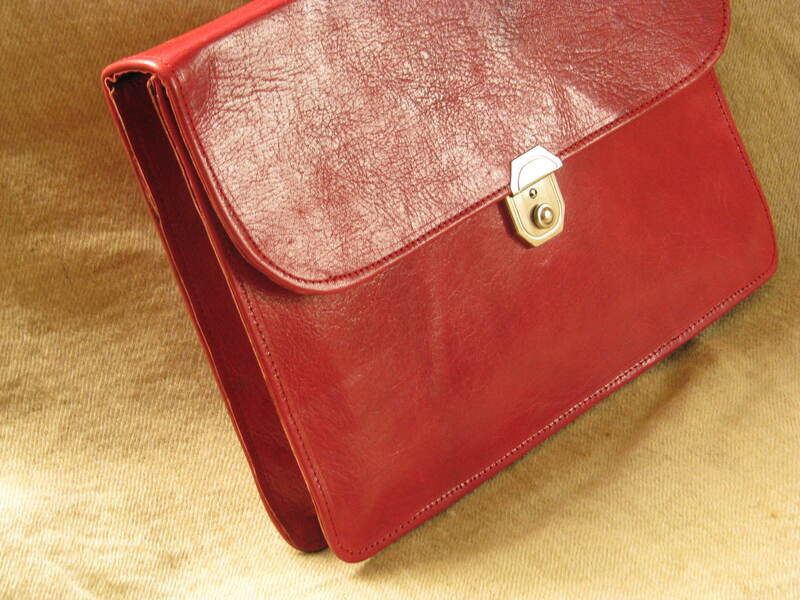 The briefcase has an inside pocket and two holders for pens. The briefcase is closed with a metal closing. 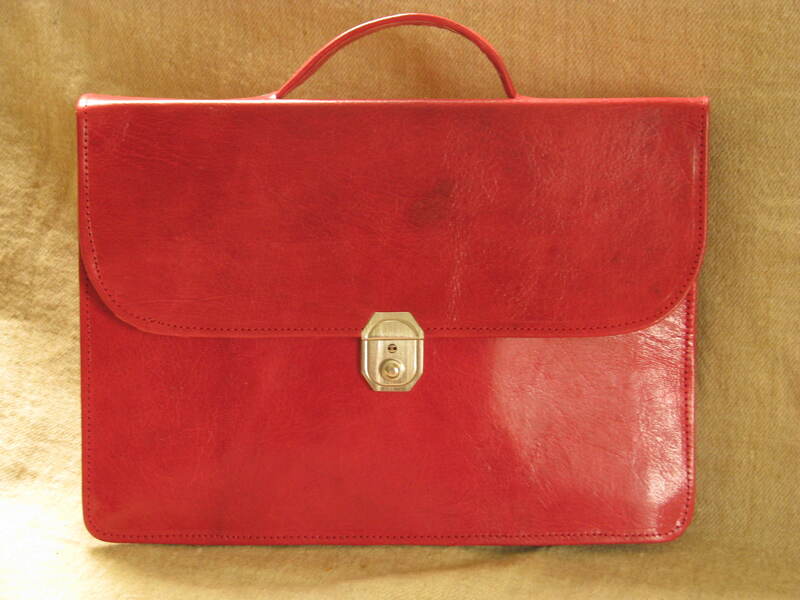 This briefcase is a nice accessory for the office. Gundara now also produces leather bags and other items in Africa. Young polio-disabled men take care of our leather bag production in Ouagadougou, the capital Burkina Faso. These leather bags are made with great care and attention to detail with high quality and robust goat leather in many different colors (red, green, blue, purple, yellow, black and rust). Our leather bags producers, are particularly disadvantaged, as they suffered from poliomyelitis - a viral disease that can affect nerves and can lead to partial or full paralysis - in their childhood and are handicapped since then. We see it as a great opportunity to have our leather bags produced by them to create sustainable sources of income and connect their great products to international markets. We only started with Gundara Africa in the summer of 2012, but are hoping to develop this branch further in the future. We were pleased with the quality we received and when we opened the first shipment from Burkina Faso, and enjoyed the red dust that came with it and smelled of Africa! The leather is produced in Burkina Faso and also processed there. This way the whole value chain takes place in Burkina Faso itself, helping to reduce poverty by creating sustainable income. In Burkina Faso 81% of the population live on less than 2$ per day and the average life expectancy is only 54 years. Burkina Faso is now also affected by the crisis in Mali, as more and more refugees are coming over the border. These were all reasons for us to try our Gundara fair trade concept that was developed for Afghanistan also in a developing country in Africa, such as Burkina Faso.